I am sympathetic to Mr. Imerman’s frustration. Regular readers of this column will know that I recently addressed the issue of Mr. Trump’s tweets and how much attention should be paid to them. You can read that column here. However, I would push back with his particular complaint regarding this week. 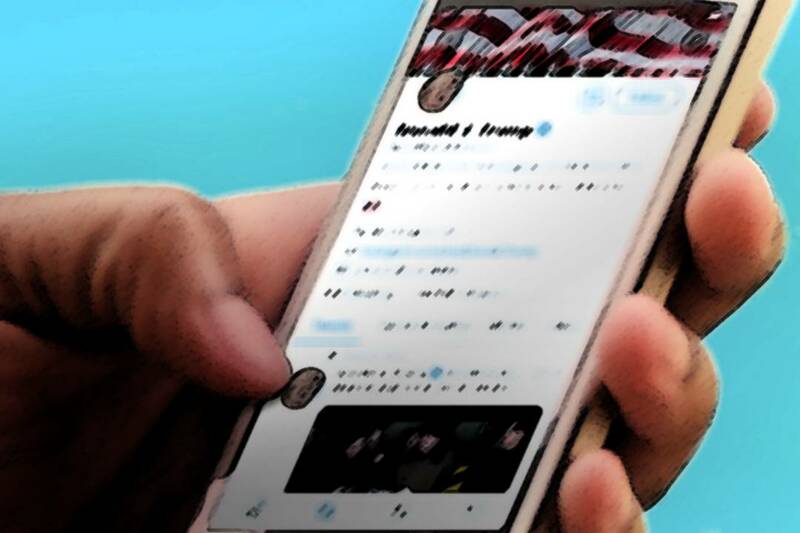 As I suggested in my previous column, context matters with regard to the president’s tweets and although it sometimes feels like the president’s every tweet is bestowed lavish attention, that’s actually not the case. But it’s not only context that matters, proportion matters, too. Mr. Imerman is correct, on Monday the NewsHour did take note of the flag flap regarding Sen. McCain, one of the White House’s own making. They devoted 30 seconds in the news headlines to that story. I’ll get back to the Google story in a moment. Here’s how much time the Monday edition of NewsHour devoted to Sen. McCain: 27 minutes and 14 seconds! That’s a lot of time. And I am sure that coverage of the viewings, services and funeral will add to that total significantly this week. So why does Mr. Imerman feel like there wasn’t enough focus on the senator himself? I suspect it’s because there was a lot of coverage of how the White House responded to news of the passing of the senator from the moment the story broke across all sorts of media. And if Mr. Imerman was consuming any news over the ensuing days he might have thought that the decision to not lower the flag, lower it, raise it, lower it again at the White House was the only thing going on. Except for, of course, whether the president had anything gracious to say about the late senator. To me as a news consumer, coverage of that particular drama at the White House was out of proportion to everything that was happening this past weekend and provided oxygen for the story to continue beyond a natural shelf life! Even a big shooting in Florida, with multiple fatalities and injuries, couldn’t sufficiently dislodge this particular story. This is a president who harbors grievances and his initial response to the passing of Sen. McCain was one of the least surprising things he’s done. I think he was ultimately goaded into taking some action because of the press badgering. Some might argue that that’s a good thing. I’m not sure that that is the role of the press in this instance. I applaud the NewsHour for showing restraint in their coverage of the flag controversy. Now to the issue of that Google story. The tweet hints at a profound lack of understanding of how search engines work and had many wondering what the president was talking about. The Washington Post performed some forensics on this you can read here. A claim that was debunked by BuzzFeed News amongst others. The fact that Kudlow, economic adviser, was going to be charged with seeing if Google should be regulated is what makes it a story and why I thought it was legitimate to mark it in the NewsHour broadcast. When the president, seemingly driven by a sense of pique, warns a corporation about potential regulation because of something he doesn’t like, we should all take notice. That’s not how our democratic system works. The NewsHour has done some interesting reporting on the tech giants and how they operate. I’d love to see them do a deep dive into how searches works in reality. It would be informative for all of us, including the current occupant of the White House. To Mr. Imerman I say, the president's tweets, like everything else, should be afforded a proportion of coverage commensurate with the import of the story and in the instance you highlighted I think the NewsHour played it just right. Posted on Aug. 31, 2018 at 11:34 a.m.